Bakery business today is one of the most lucrative businesses around the world. Who does not like to eat bread? You will find very few people who do not like to eat bread. 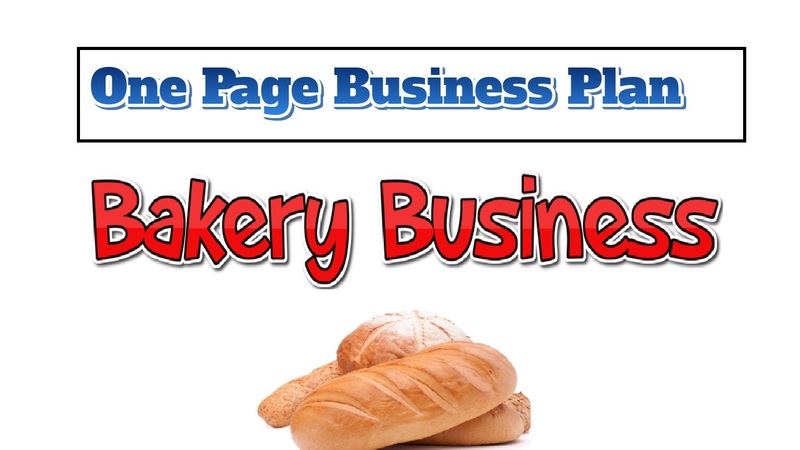 So anyway, if you are willing to know to us about bakery business plan then you have made the perfect decision because, in this business, the possibilities of losses are very low. So without any further ado let’s know how to open up a bakery business of your own. You might need a big capital to start up your bakery business. Because the cost of a shop itself is going to rip off your pocket. Hence, make sure you have a good amount in your pocket. Other than the cost of the shop, cost of wheat, sugar, milk and so on so forth is not less themselves. Our studies suggest the capital you will be needing to start up your shop might be around $30,000-$100,000 more or less. Your business location should be in a busy traffic area, so that people can notice your shop and visit it while running errands. Or if you want to run your business from home then you have got your location figured out. Selling your items from is going to reduce your cost a lot, so this might be a good idea, if you have a low capital. The cause of your executive summary is to launch your business to potential investors. This is your opportunity to shine and establish what you can bring to the table that other bakeries cannot. You should specify what makes your company special and why that will make your company successful, along with your expected success. It acts as an initiation, but it should be completed last as to reflect the most recent business model you have flourished. You won’t know some of the particulars that need to be incorporated until after you have done everything else. Your goal should be to provide your customers with the top quality food items so that you ever lose your customers, rather gain more of them. Market your business as much as you can. Write a blog of your own, where you can sell your products online, this way you get fame, hence your customers number increase! Honestly speaking you do not need a Masters or PHD degree to start up a bakery business. All you need is, do lots of research, read lots of blogs, talk with bakery food shop business owner, and they will definitely know the pros and cons of opening a food related business. Also, if you have a bachelor’s degree in hotel management, things might get a lot easy for you. That way, you will know how to run your business without having losses. But in my opinion, it is not that necessary. The advantages of this business is pretty high than that of disadvantages. If you are able to hold on to your potential customers, no one can stop you from earning huge amount each year. In the Bakery Business key to success is marketing and good behavior. Put up bill boards in your area, arrange a huge opening ceremony, market your shop online, attract your customers however ways you can. Also, do not compromise with your food quality, if you sell bad quality bread to your customers, chances are, you will losing them in no time soon. $37,000 to $71,000 per year.